The valedictory session of Platinum Jubilee Celebrations of Income Tax Appellate Tribunal (ITAT) here in New Delhi today witnessed addresses from the Union Minister of Finance, Corporate Affairs and Information and Broadcasting Shri Arun Jaitley and the Union Minister of Law & Justice Shri D.V.Sadananda Gowda. In his valedictory address Shri Arun Jaitley emphasized the need to have simpler tax regime for the hassle free working. He said Laws must be simple to avoid the possibility of excessive litigation even if you have a large number of population and assessees. On this occasion of the Platinum Jubilee, he remembered the Diamond Jubilee celebrations of the ITAT held in 2001, when he was Union Law Minister. He stated that the ITAT is an important forum for the reason that it is first opportunity that an assessee gets outside the structure of the Income-tax Department to agitate its case. The tax tribunal is constituted by experts from two different branches – one having a judicially trained mind which is keen to interpret the law and the other having experience in taxation. He also stated that this tribunal, set up in 1941, has become mother of all tribunals and if we look back at last 75 years, it is this tribunal which has stood the test of time. He also stated that outstanding judgments of the ITAT are published in various journals and are referred to as good precedent. The minister said that the Government is looking into the recommendations of Parthasarathi Shome committee with a view to simplify tax administration. "The home Committee report has given several recommendations which we are at a very advanced stage looking into. It has suggested certain reforms in tax administration. Shri Jaitley also said that a committee has also been set up under Justice R V Easwar to simplify the Income Tax Act. Shri Arun Jaitley also talked of several steps being taken by his ministry in the area of Income Tax. He said in any case where the tax is up to Rs.10 lakhs, one need not go to tribunal, if it is less than Rs.20 lakh, one need not go to the high court. So the numbers of appeals are being restricted. He highlighted the importance of Information Technology (IT) saying that IT has a very important role now in tax assessments. More and more returns are now online, the queries are being addressed online, answers can come online thus helping people in eliminating corruption. Also the tax refunds have also gone online. The Minister said to adhere to the judgments, the assessment of the officials in the tax departments has to be linked to the quality of their performance and not to the targets. That is one of instructions being issued. Referring to his last year Budget proposal of reducing corporate tax from 30 per cent to 25 per cent over 4 years along with removal of tax exemptions, Shri Jaitley said it would make the tax system cleaner and simpler and will ensure that "oppressive taxmen does not hover over us". Shri Jaitley said once a simpler tax system comes into place, there will be lesser appeals and further efforts would be made to bring down arrears. "I do hope that with all these changes, and improved performance in the tribunal for which you are endeavoring, the arrears will be low, our tax buoyancies will be higher and the harassment to the assessee would probably be least," he said. 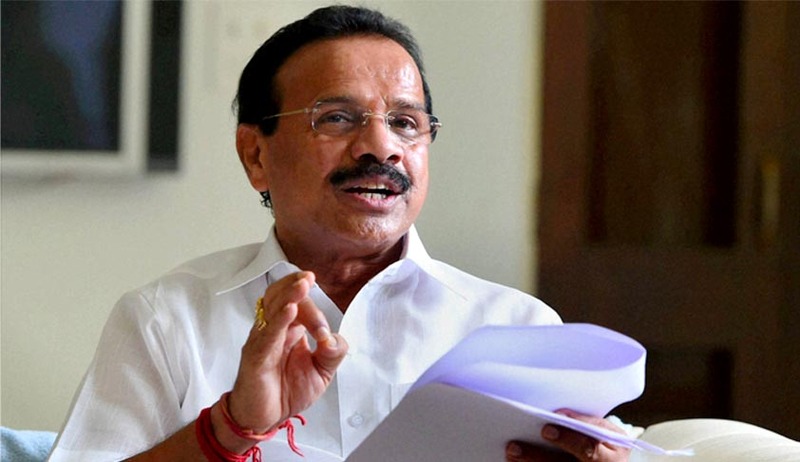 In his address Union Law & Justice Minister Shri D.V Sadananda Gowda said the concept of Tribunals has been borrowed from the French system of ‘The Droit Administratif, which referred to a system of administrative courts that ran parallel to the civil courts. The intention behind this system was to ease the civil courts from administrative matters while laying separate standards for administrative disputes. The modern Indian Republic was born as a Welfare State and thus the burden on the government to provide a host of welfare services to the people was immense. The vast number of welfare legislations coupled with the right to judicial review was thought to burden the civil courts with more matters than they would be able to handle. Thus, various Tribunals for income tax matters, railway rates, labour matters, and company courts were given statutory legitimacy to function parallel to ordinary civil courts. In India, the adjudication of administrative disputes has been commented by the judiciary through various cases placed before it over a period of time. As of now, we understand that a complete adaptation of Driot Administratif is not possible in India because judicial review of Tribunals’ orders cannot fully be removed, judicial review being an integral part of our Constitution. While the matter seems to be put to rest with Supreme Court’s 1997 famous decision in L. Chandra Kumar’s case, the debate has not ended yet and much remains to be debated in the context of working, independence and efficacy of the Tribunals. There have been many success stories of the Tribunals, yet there have been instances of delays and favouritism as well though the Courts have consistently held that these bodies must maintain procedural safeguards while arriving at their decisions and observe principles of natural justice, Shri Gowda added. Referring to his previous day address on the criticism of the Tribunalisation of justice from some quarters, The minister said increasing tribunalisation has been criticized as an encroachment on the judiciary’s independence and contrary to the constitutional scheme of the separation of powers between judiciary and the executive. The other concern has been that though they were supposed to address the issue of delays and pendency in the existing judicial system, they seem to be bogged down with the same problems. Also, it is alleged that the Tribunals lack independence and are no better than the administrative arm of the Ministries. He said the Tribunals are here to stay as they play an important role in the sphere of the adjudication of disputes. Tribunals function differently from courts, from the manner of appointment to the procedure followed. The Tribunals do not have to follow the uniform procedure as laid down under the Civil Procedure Code and under the Indian Evidence Act but they have to follow the principles of natural justice. Nevertheless, they seek to achieve the same objective as that of the courts i.e. – to impart and deliver Justice. The Minister was of the view that within the four walls of judicial review, the Tribunals carry a great responsibility of not only resolving disputes but also exhibiting higher standards of performance as mostly the tribunals have been reviewing or overseeing appeals from the actions of the administration. If the litmus test is that whether the Institution is maintaining consistency of it being fair and judicious, apart from rendering speedy justice, I think ITAT has passed with distinction. Working of the Institution depends upon the reputation which it builds up over a period of time and ITAT has lived up to the expectations, Shri Gowda added. He said we must recognize the intrinsic link between the simpler tax dispute resolution mechanism and the effect it has on overall economic growth of a country. A good tax administration which includes an efficient and prompt tax dispute resolution mechanism, plays a major role in the growth of a globalised economy, either in general terms or in specific sectors like improving ease of doing business or attracting foreign investment. Shri Gowda said ITAT must constantly evaluate its internal procedures to look for the avenues for improvements. Whether it is digitization of documents or setting up of e-courts, the ITAT must find new ways and means to speed up disposal, for time bound justice. There is an immediate need for taking up reforms like Pre-trial hearing, so popular in developed countries. The Minister expressed the hope that the three technical sessions in the last one and half day would have been enlightening and extremely helpful to the participants and deliberations here have been able to stimulate the thought process in your minds. He said I am looking for new and innovative ideas out of your stimulated and ignited minds. The Other speakers addressing the valedictory Session were Shri P.K.Malhotra, Secretary Department of Legal Affairs, Shri D.D.Sood, Chairman ITAT and Shri D.Mammohan, Vice-Chairman ITAT.